If you listened to most people on the internet, this never happens. They always seem to have a friend, a boy, a guy they know that has had some "grey market" car they imported, and have "no problems". Titled and insured. Ever wonder how those cars get imported? Here is how many of them enter. 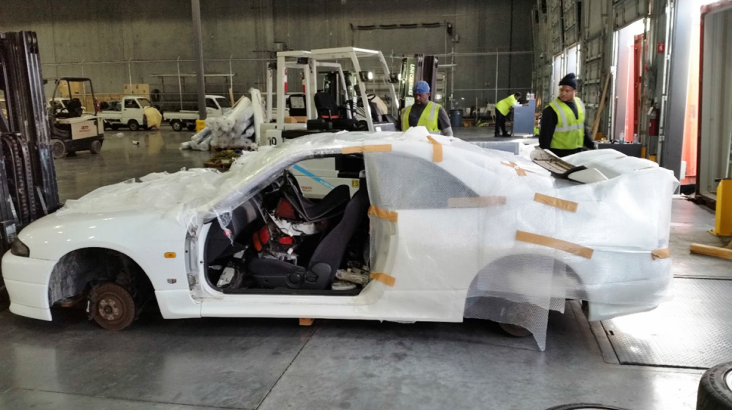 According to this article in the Post and Courier, "When they opened the container, inspectors with Customs and Border Protection say they found a bubble-wrapped 1996 Nissan R-33 Skyline automobile that had been placed atop two rows of used engines, transmissions and other parts." The car, missing the wheels and doors, fired right up when customs agents tried to start it. Even though it was declared as a used breakdown car and $810 on the importation documents. 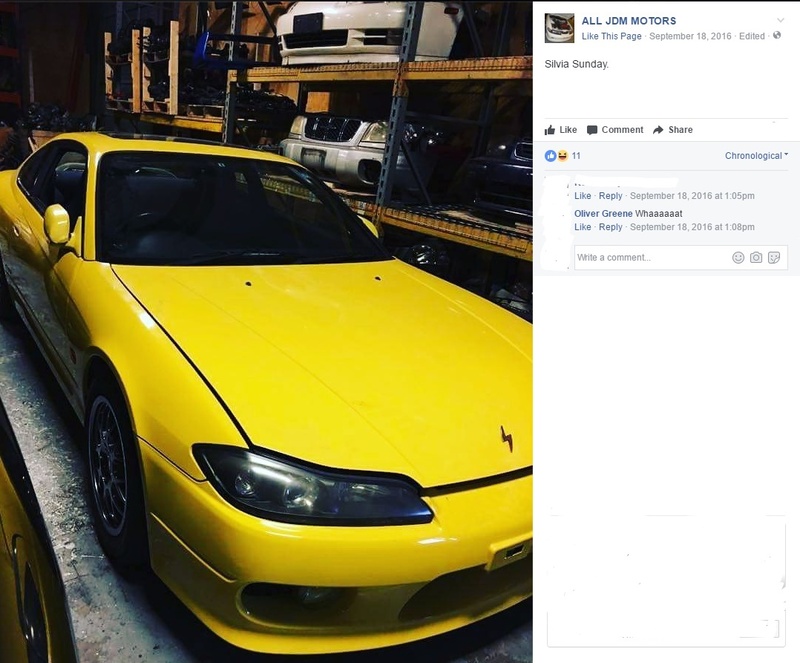 After Customs found the one car, they served a search warrant on All JDM Motors, the importer, and seized two computers and documentation. "Car collectors say speed is the main reason the Skyline is banned. The vehicle, featured in the film "2 Fast 2 Furious," can reach speeds topping 150 mph." Well, there was an R33 in Fast and Furious. Also one in Fast and Furious 3. I don't think one actually showed up in 2 Fast 2 Furious. Speed...150 mph. 280 horsepower car. You can buy a Toyota Sienna that has 296 horsepower. You can buy a Dodge Demon that will about do that in a quarter mile. Trust me, nothing to do with speed. As a 1996 vehicle, this R33 is actually over 21 years old, and in original configuration exempt from EPA requirements in accordance with Code E on the 3520-1. They could have waited a few years, and this car would have been legal to import to the US as a 25 year old vehicle. However like a lot of greedy people, they want what they want, regardless of the current laws. "The smuggling charge carries a maximum prison sentence of 20 years while the other charges are punishable by fines or prison sentences of up to two years." The thing is, Customs is now alerted to any other cars they might have imported. So the people that might have bought smuggled vehicles from these scammers, might lose their vehicles. Often the people buying these illegally imported cars have no clue about Federal requirements. The cars have a title, and it seems legit. 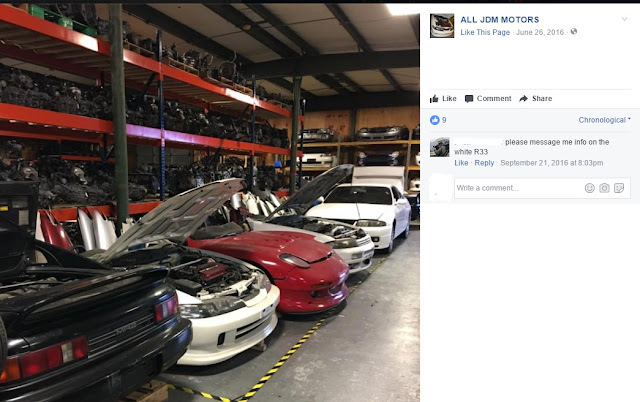 With the computers and documents from All JDM Motors, it will be pretty easy for those owners to be tracked down. If you bought a car from them, we suggest finding a lawyer, you will probably need one.